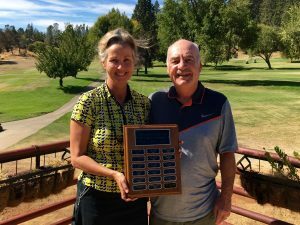 Congratulations to this year’s champs – Gary & Mary Deardorff, who put their names back on the champions plaque with a score of 57 in the net best ball of the partners format. 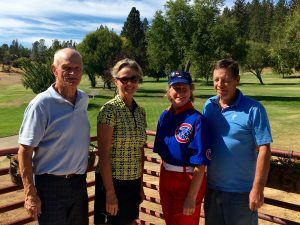 Second place was a tie between the teams of Paul & Sherrie Rankin and Don & Lisa Curry with net 58’s. And Steve & Jane Parson came home in 4th with a net 59. Close, Close Scores & some great golf – congratulations to all our winners. 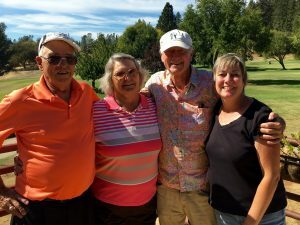 Closest to the Pin Contests were won by Dan Triano (1′ 10-1/2″) & Mary Deardorff (21′) on Hole #2, and Louie Slayton (19′) & Christine Lawicki (14’10”) on Hole #5. 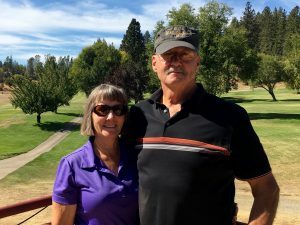 Second place winners were Jim Heard on Hole #2, and George Hansen & Sandy Pack on Hole #5.